We encourage you to check out our annual report to learn more about Rise’s publications, presentations and partnerships in 2016. 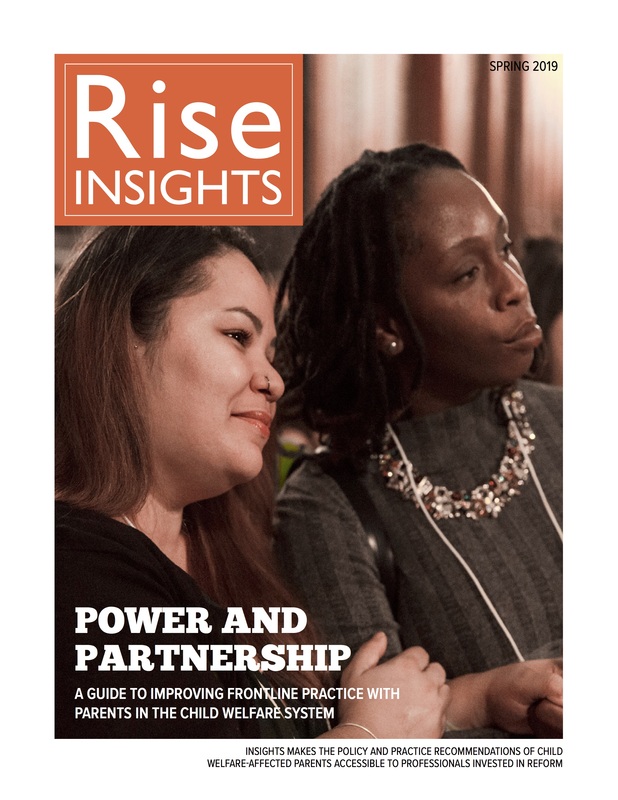 In the past year, Rise has deeply focused on frontline staff training and on advocacy. In December, Rise parent leaders presented testimony to NYC’s City Council about how preventive services have helped them overcome childhood experiences in foster care, access practical supports and build strong, safe families. The New York Times published Rise Director Nora McCarthy’s letter to the editor about the advances NYC’s child welfare system has made in keeping children safe at home through preventive services – and the need to measure success in child welfare using metrics beyond fatalities. Rise’s Jeanette Vega contributed to the blog Urban Matters, writing about the harm to children when families are so fearful of investigations that they don’t reach out for help early in a crisis.